Read Also: DELSU Departmental Cut Off Marks 2018/2019. 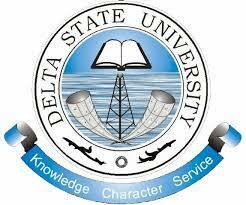 DELSU Change of Course Available Programmes & Requirements. 6. English & Literary Studies English, Lit. in English, one Art subject & one other subject from Social Sciences. 22. Biology Education English, Biology, Chemistry and one other Arts/Social Sciences/Science. 32. Health Education English and Biology/Health Science and any other two subjects. 37. Mathematics Education English and Mathematics plus any other Science/Social Science subjects. 42. Religious Education English, CRS and any two of Arts, Social science. 65. Mass Communication English and any three from Arts or Social Science subjects. How to Apply for DELSU Change of Course Form.